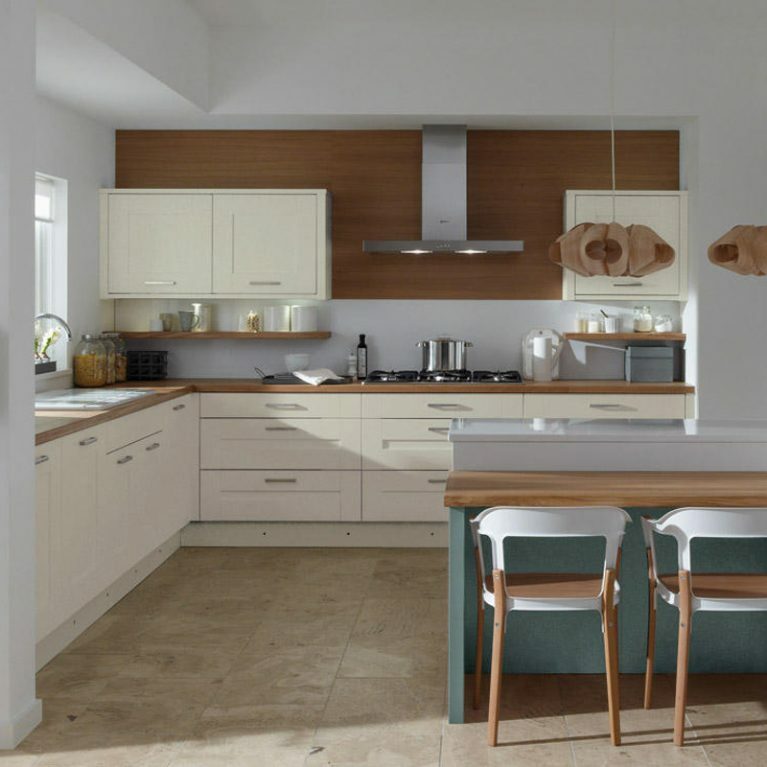 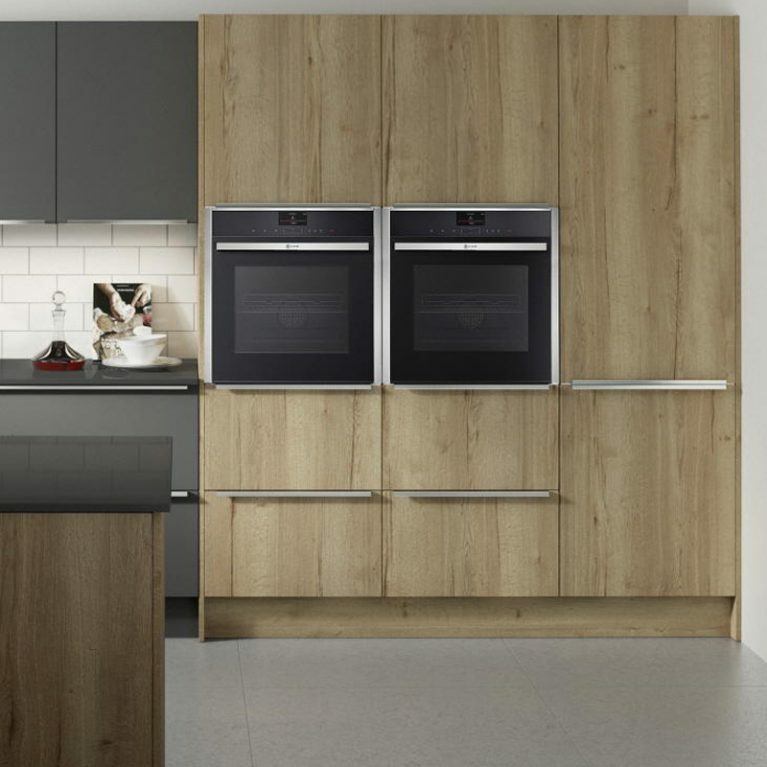 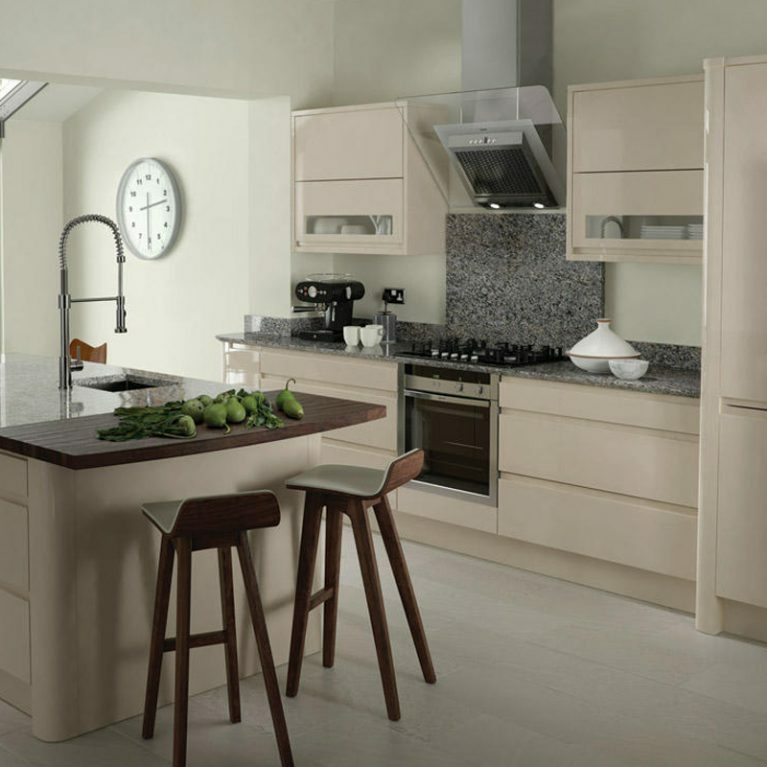 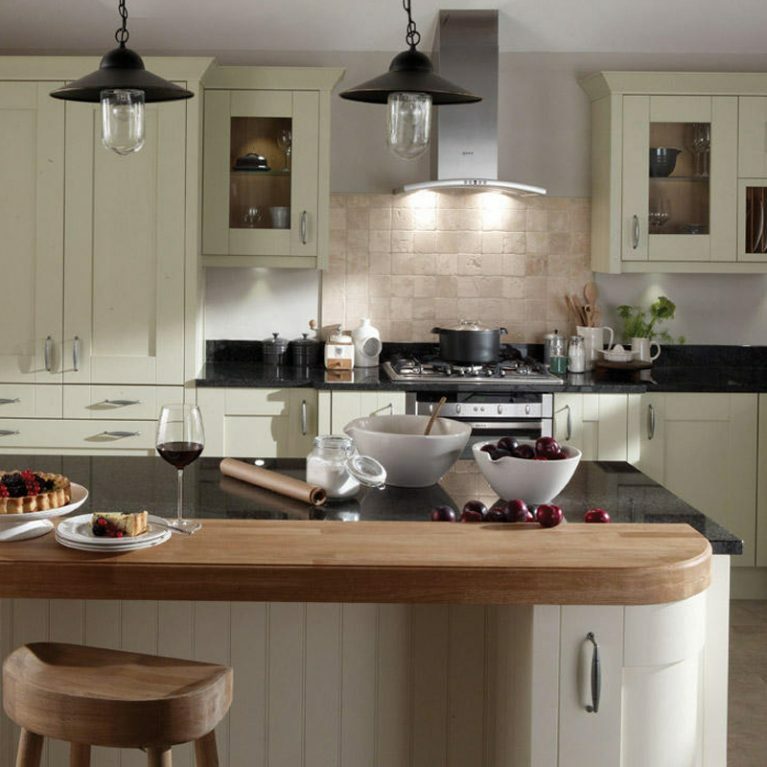 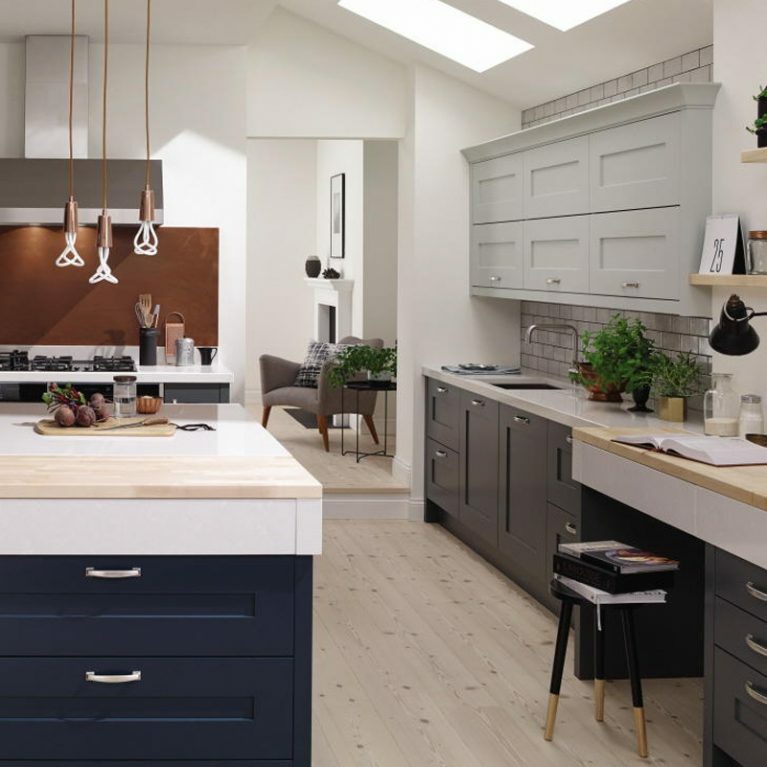 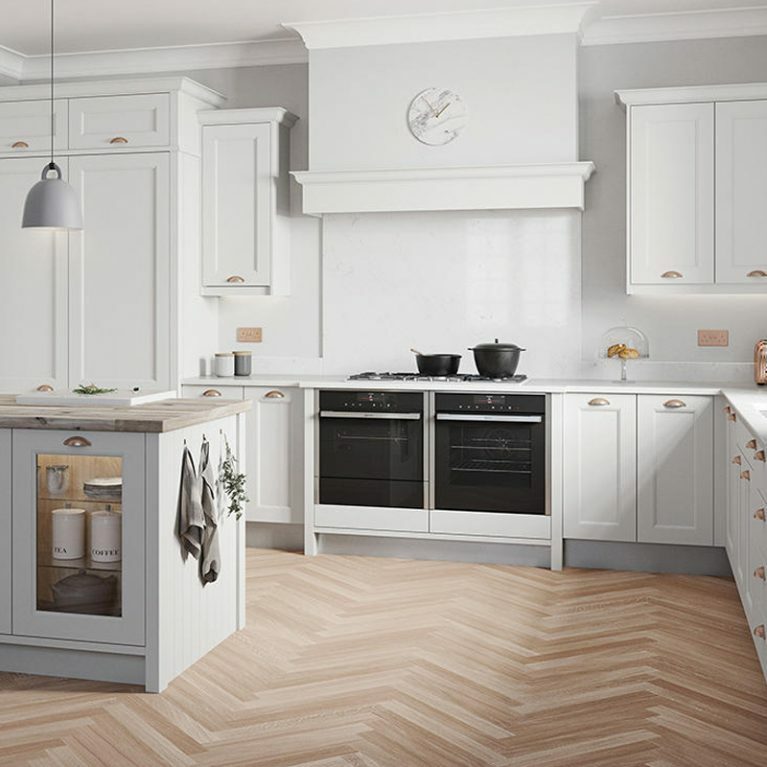 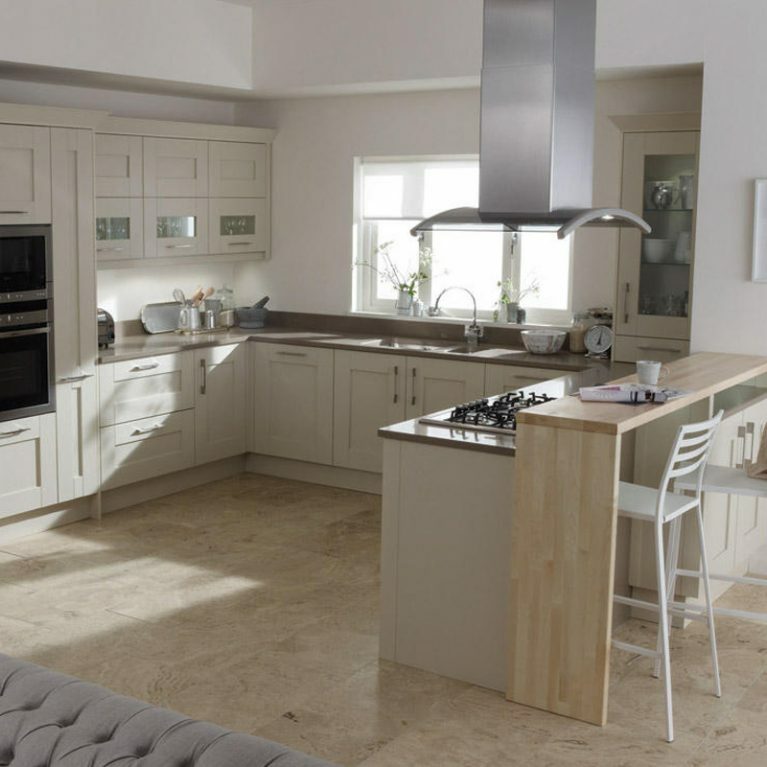 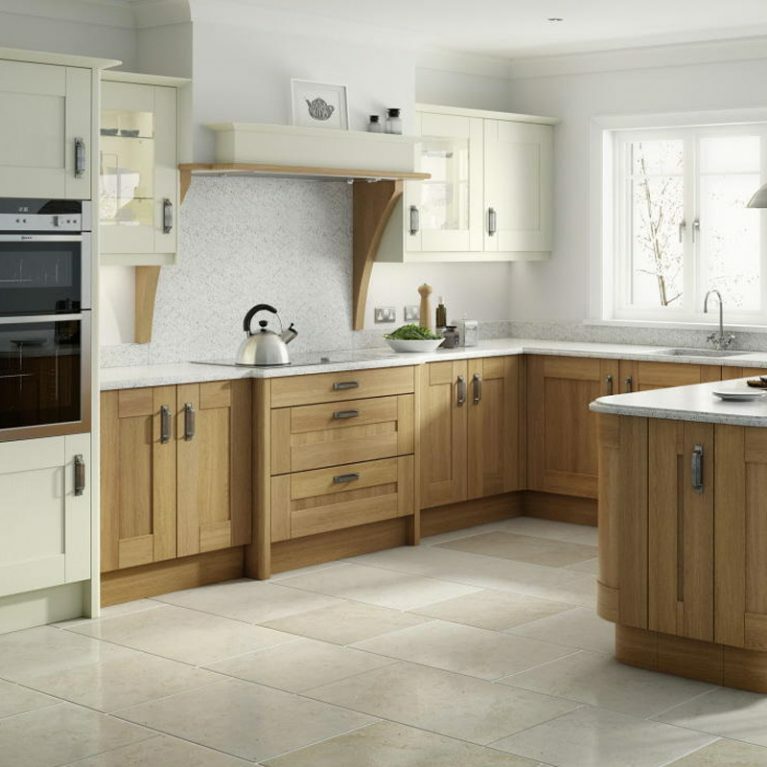 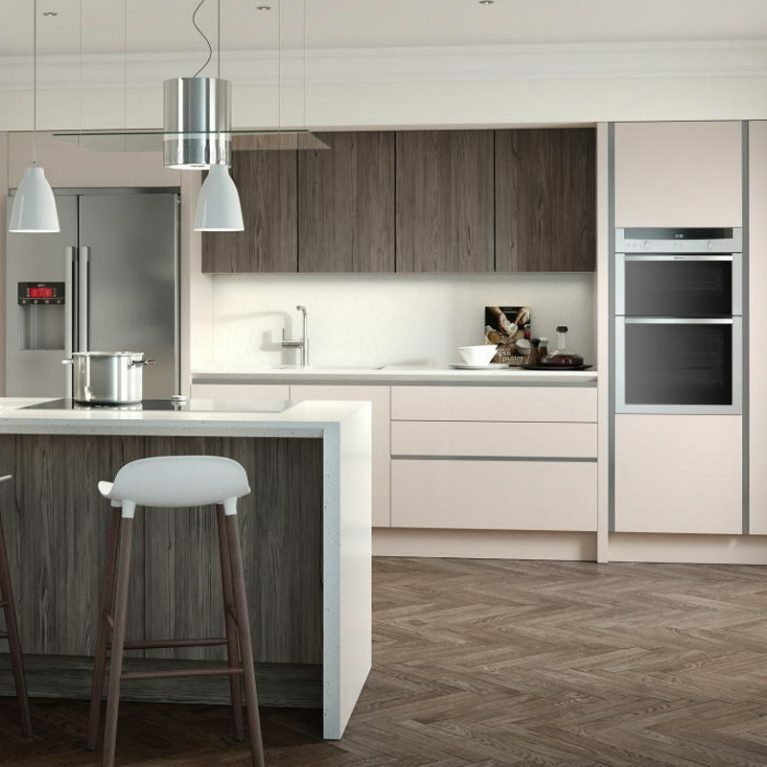 If you want a kitchen that has a classic, rustic country feel then Number One Kitchens’ stunning Lyndon classic wood oak kitchen will be the answer to your interior design-based prayers. 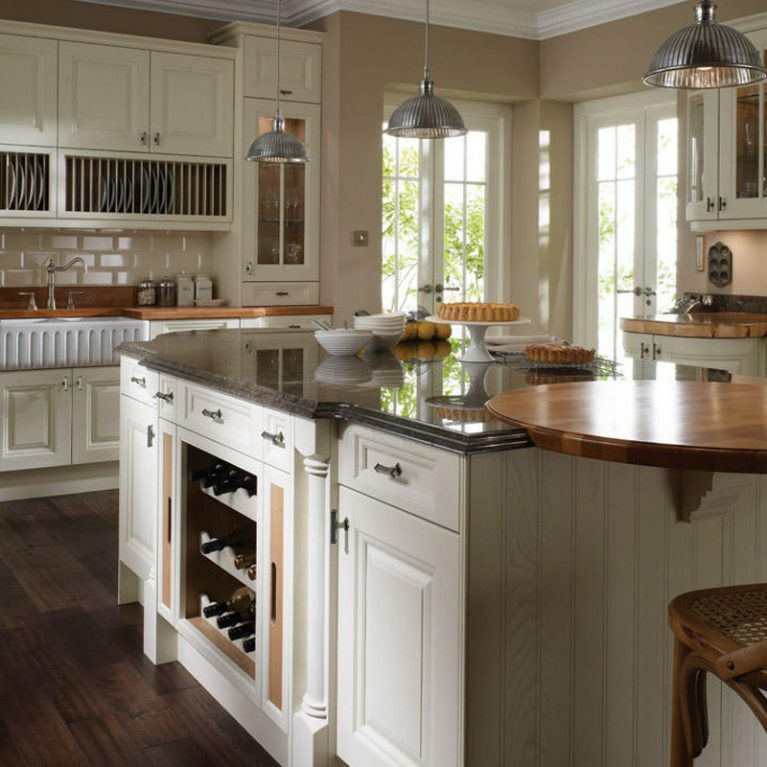 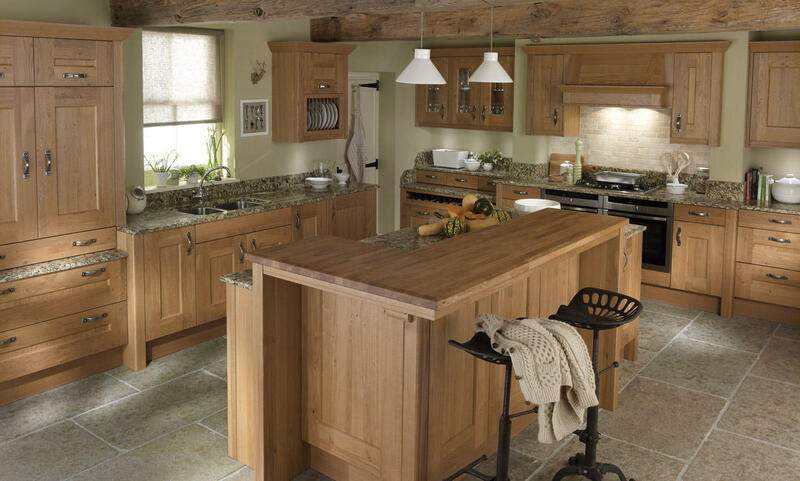 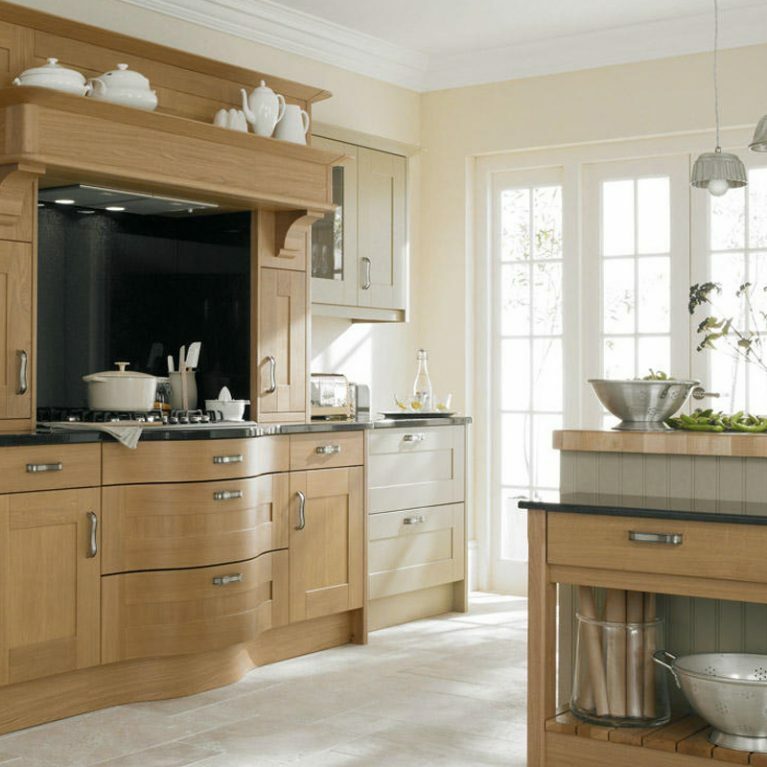 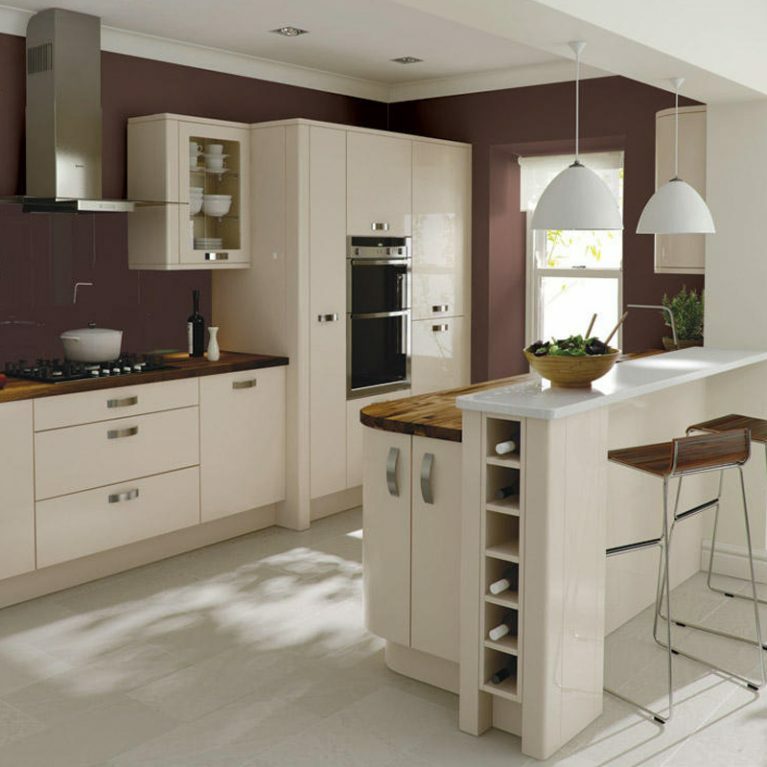 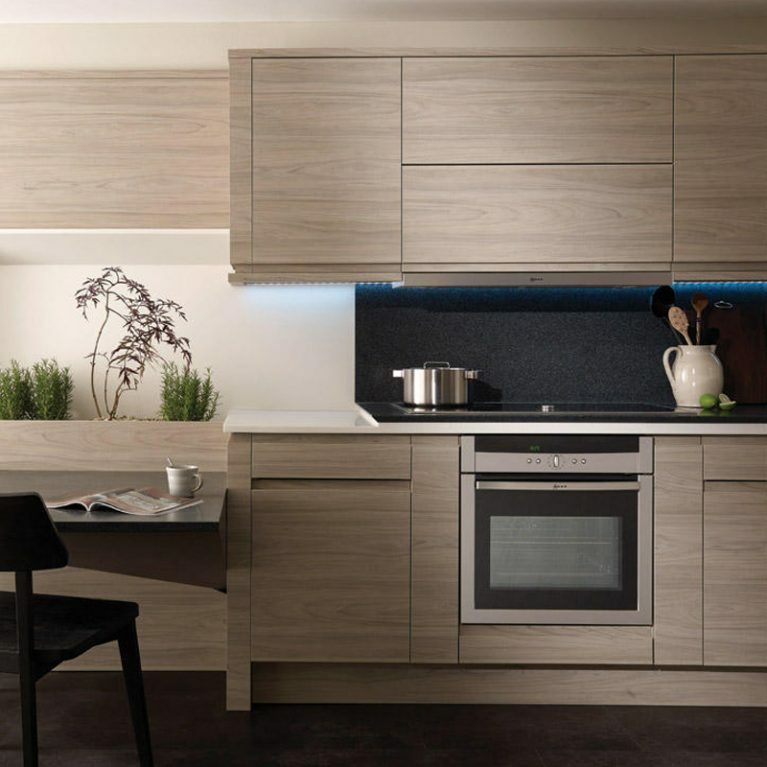 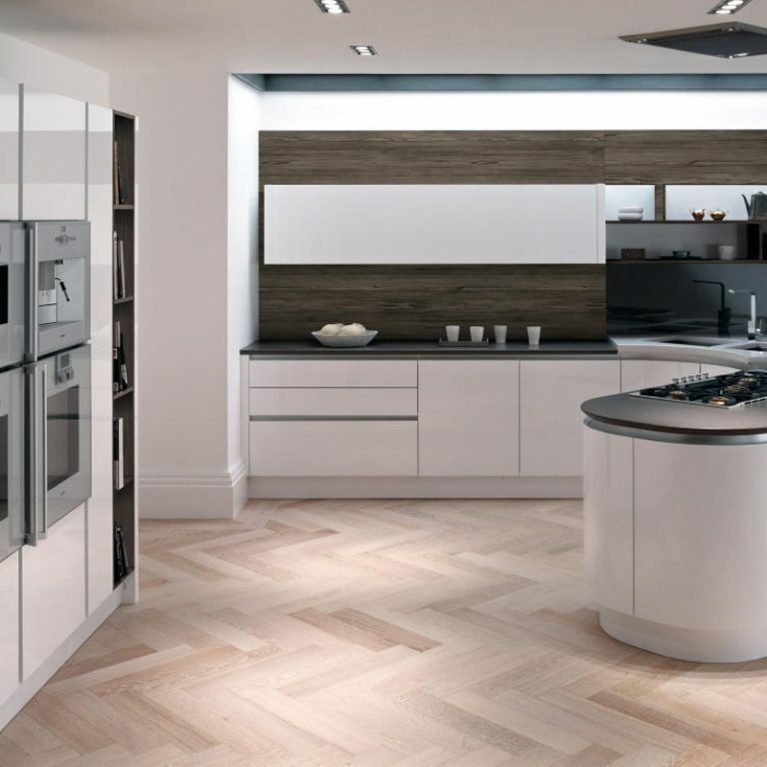 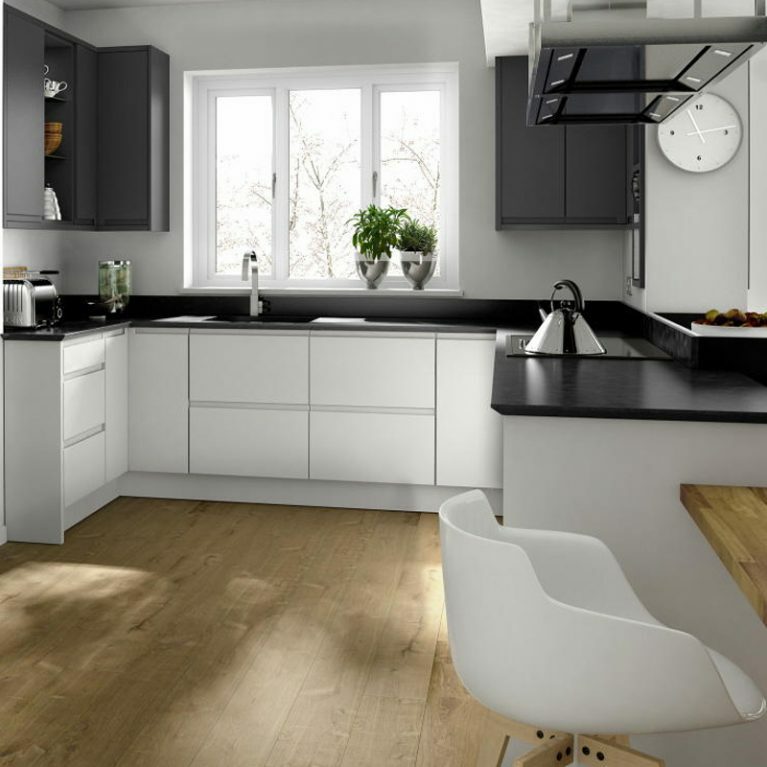 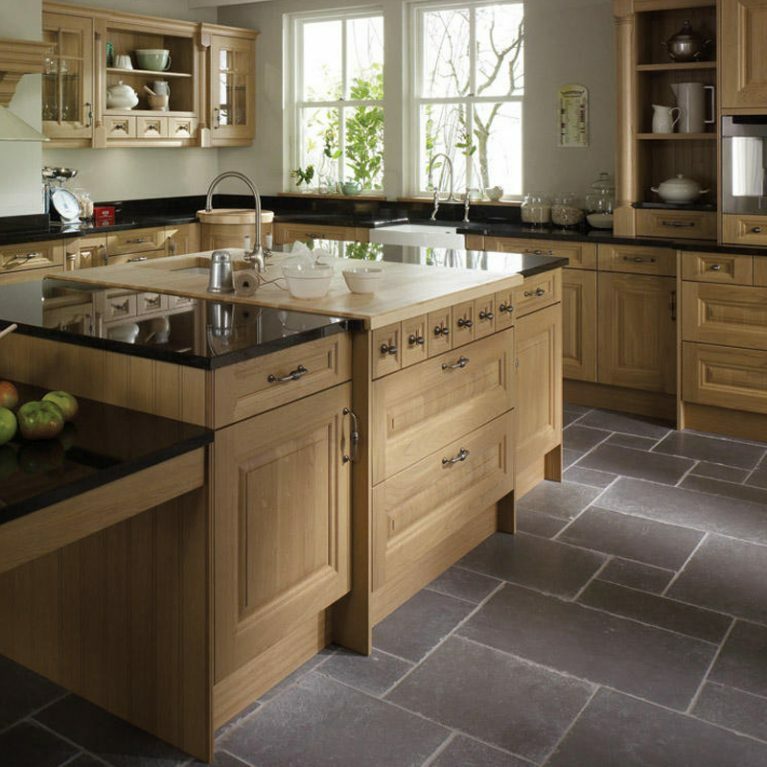 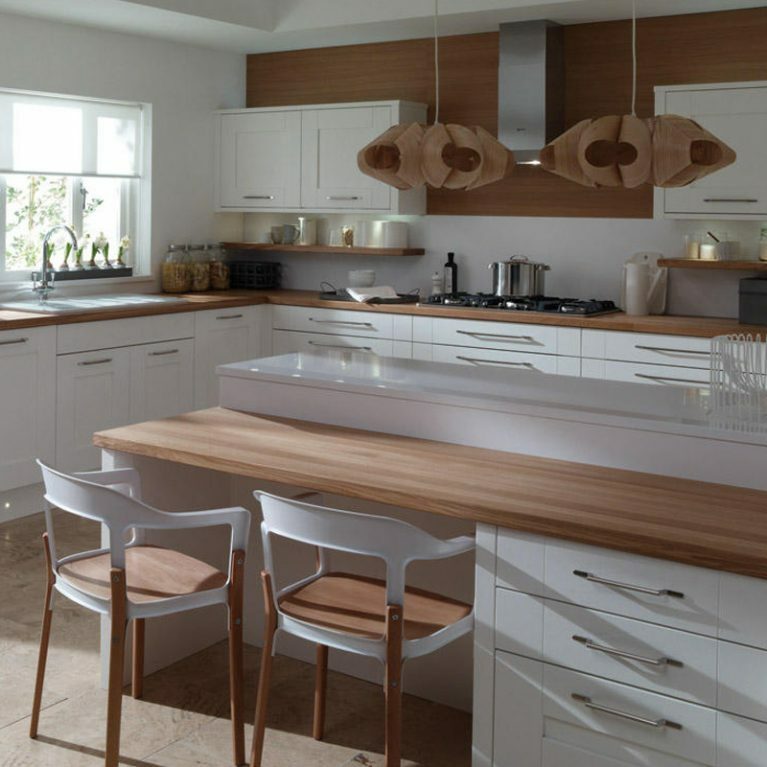 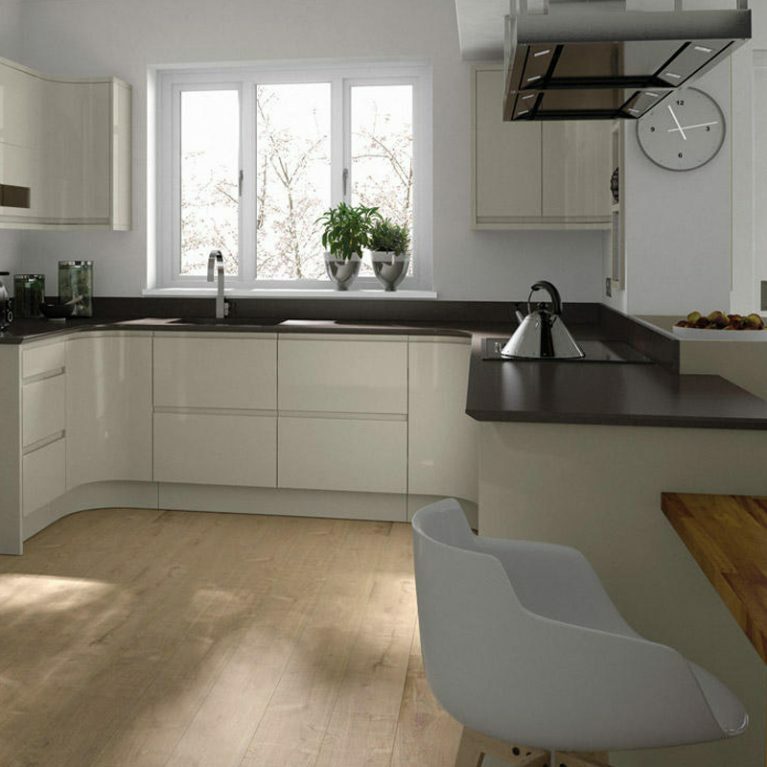 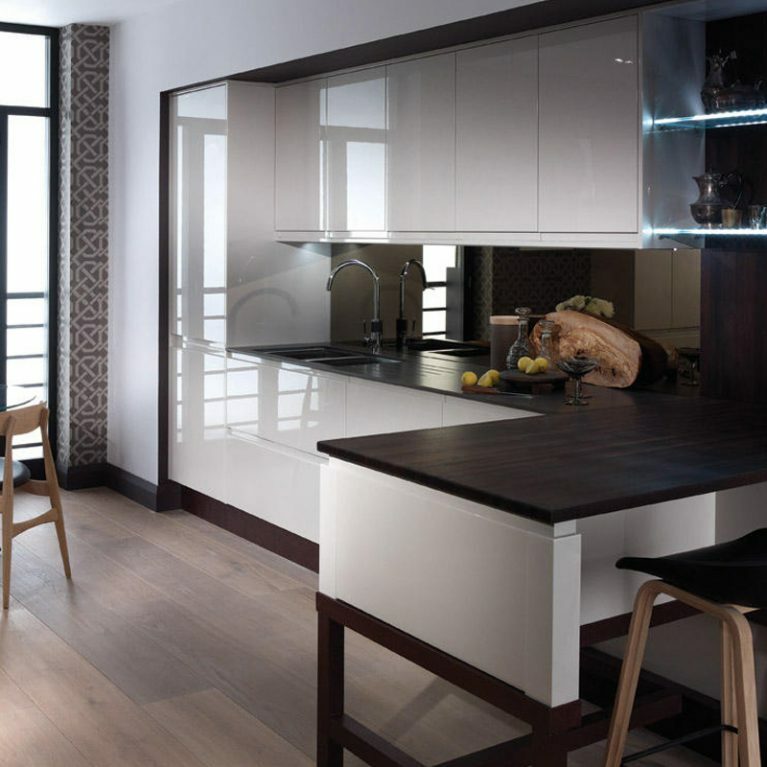 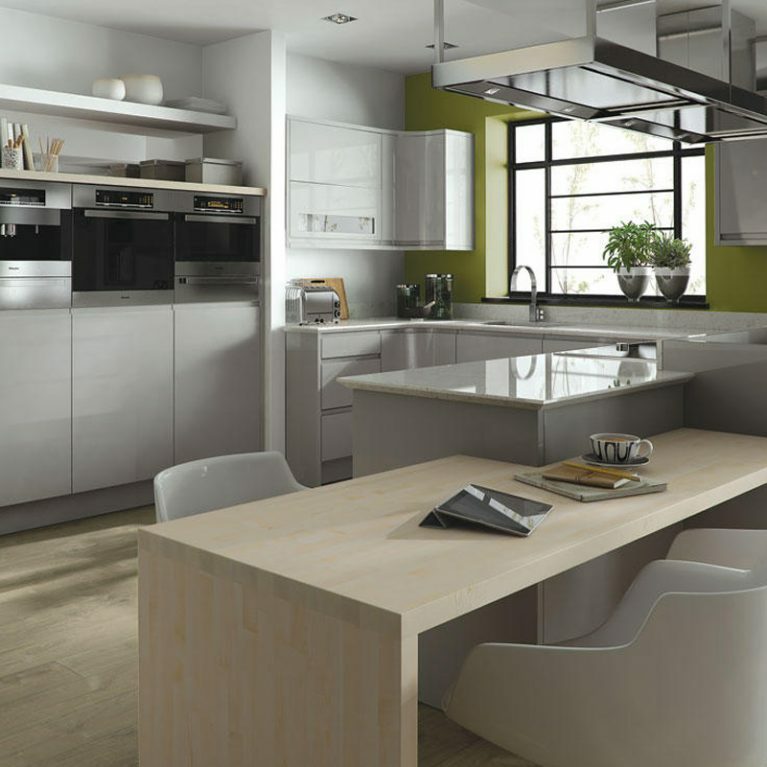 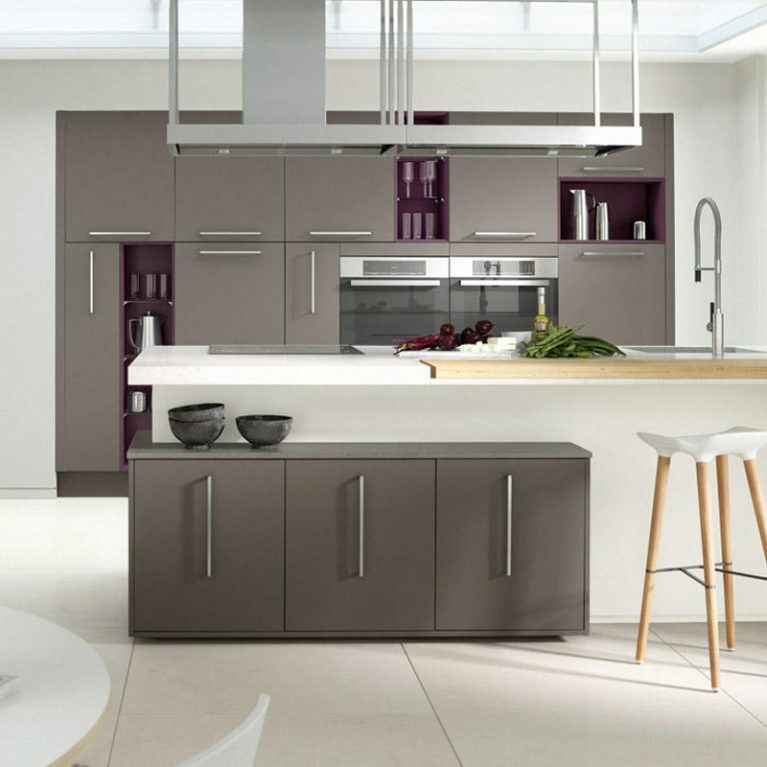 This stunning knotted oak timber kitchen design is truly one of a kind. 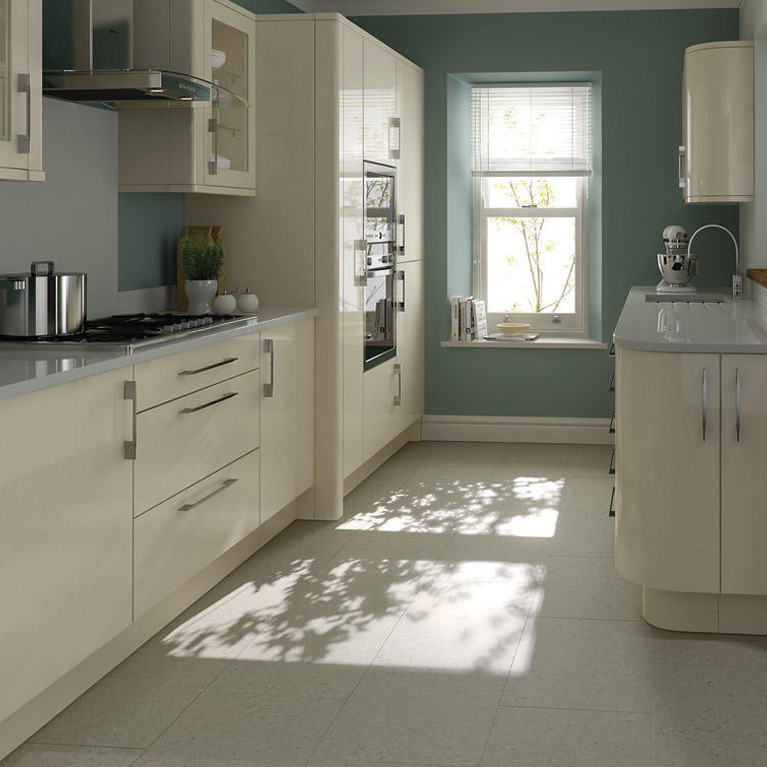 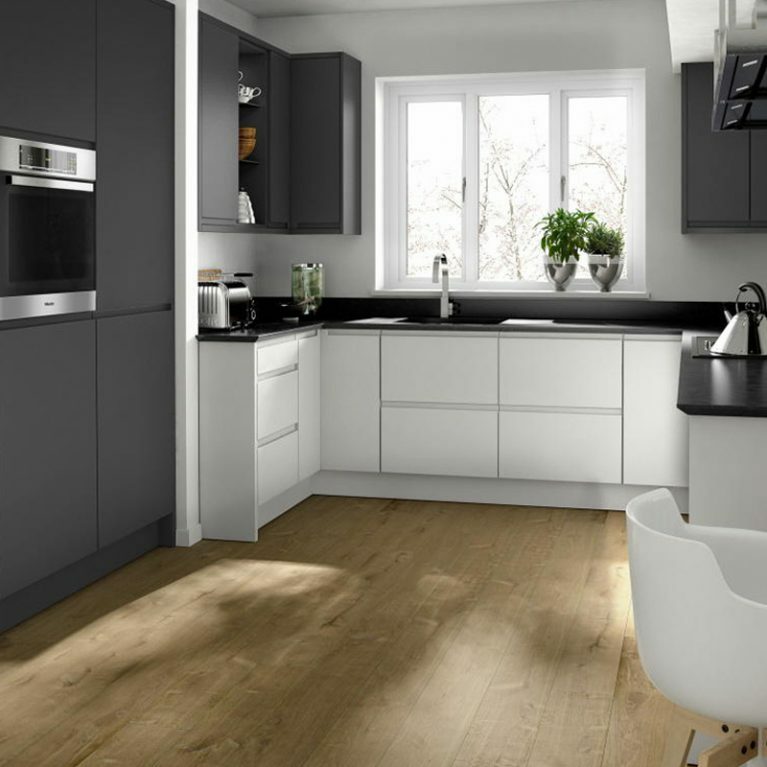 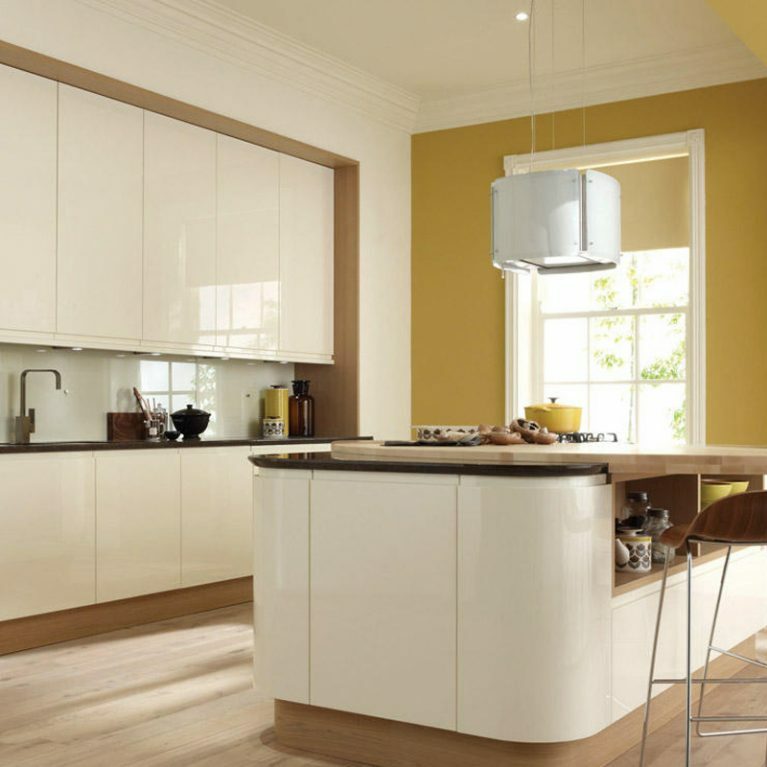 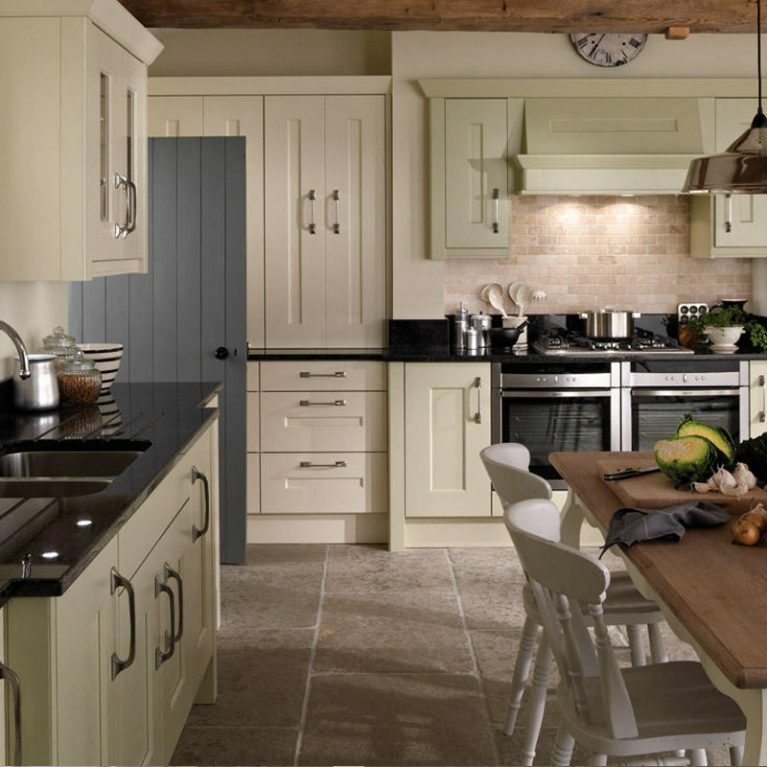 It instantly adds warmth and character to the kitchen space, creating the most perfect area to create family memories. 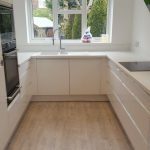 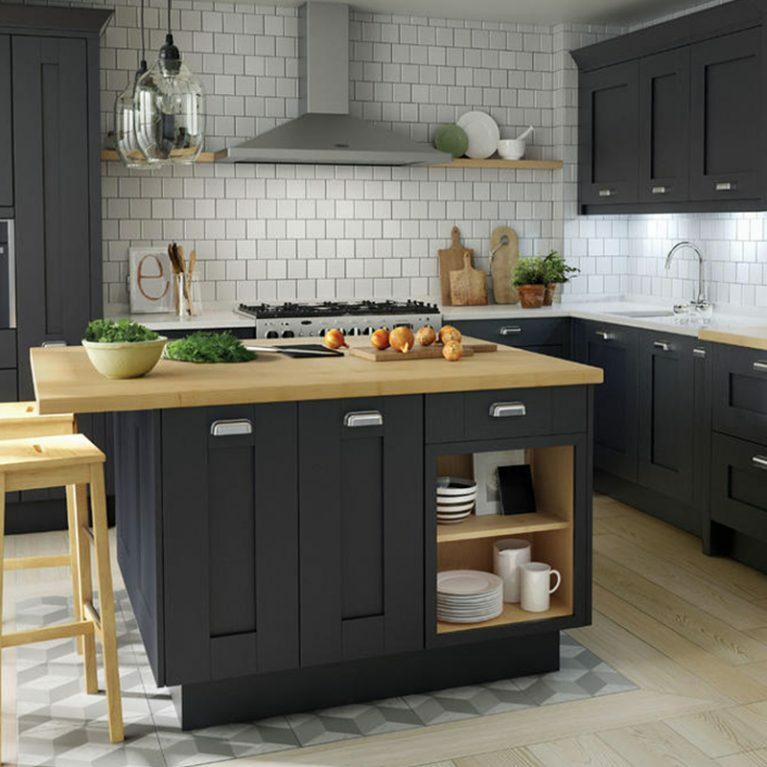 The Lyndon classic wood oak kitchen is a typical shaker style kitchen design, which encompasses a phenomenal use of storage space, perfect for those with children! 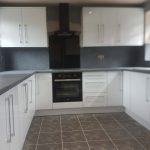 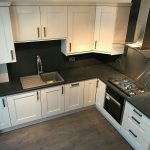 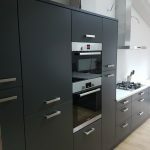 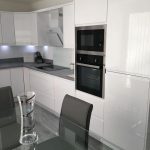 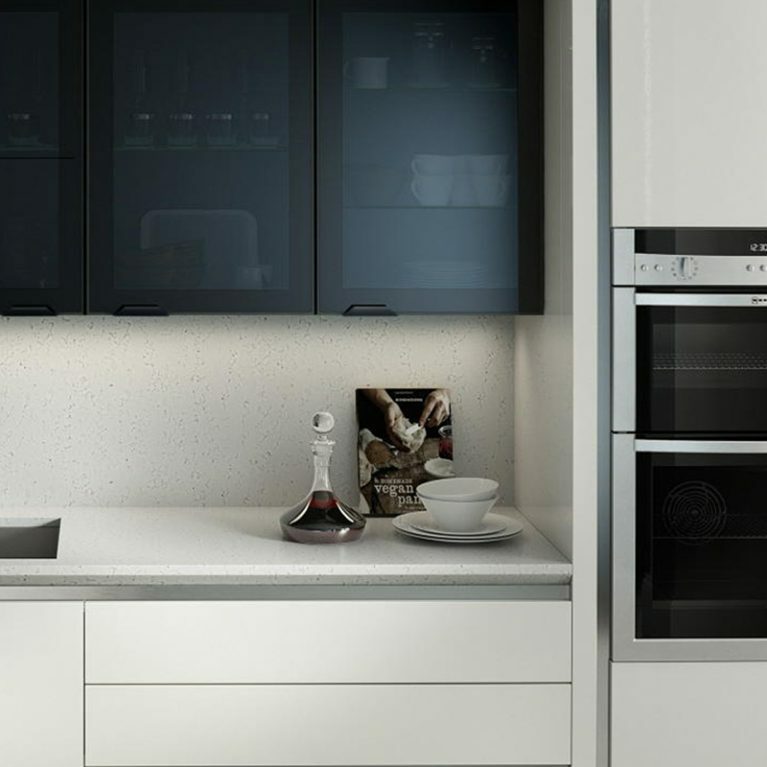 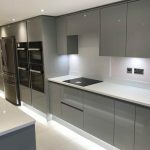 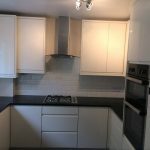 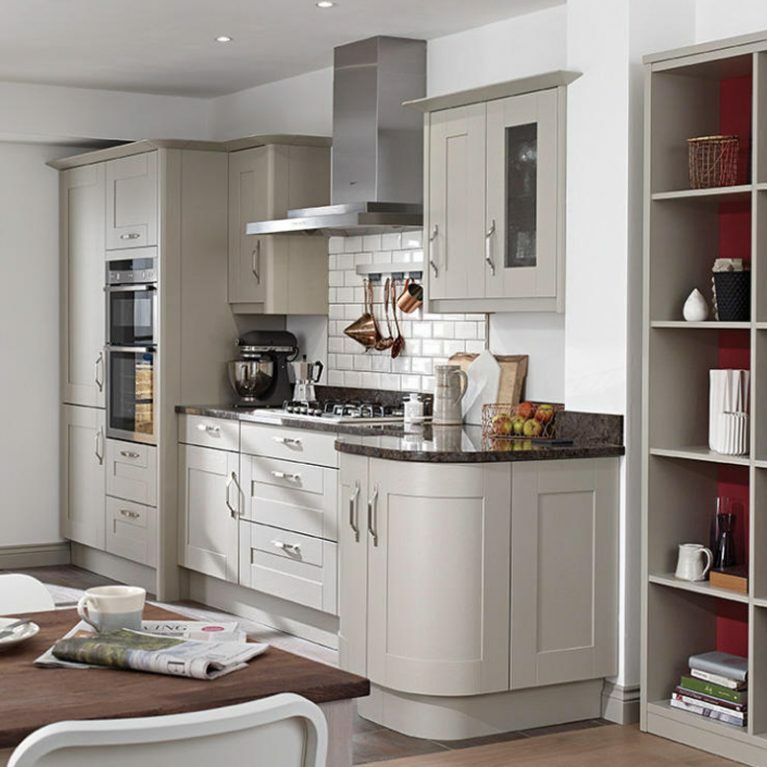 You’ll find plenty of handy cupboard and drawer space, perfect for all of your kitchen goods and accessories to have a place to live, avoiding any clutter or mess in your kitchen space. 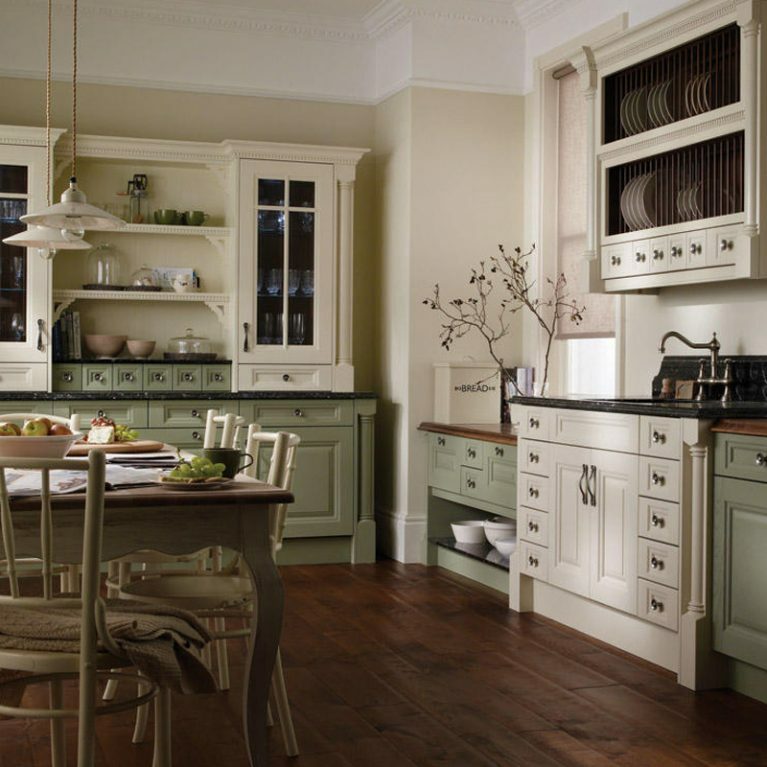 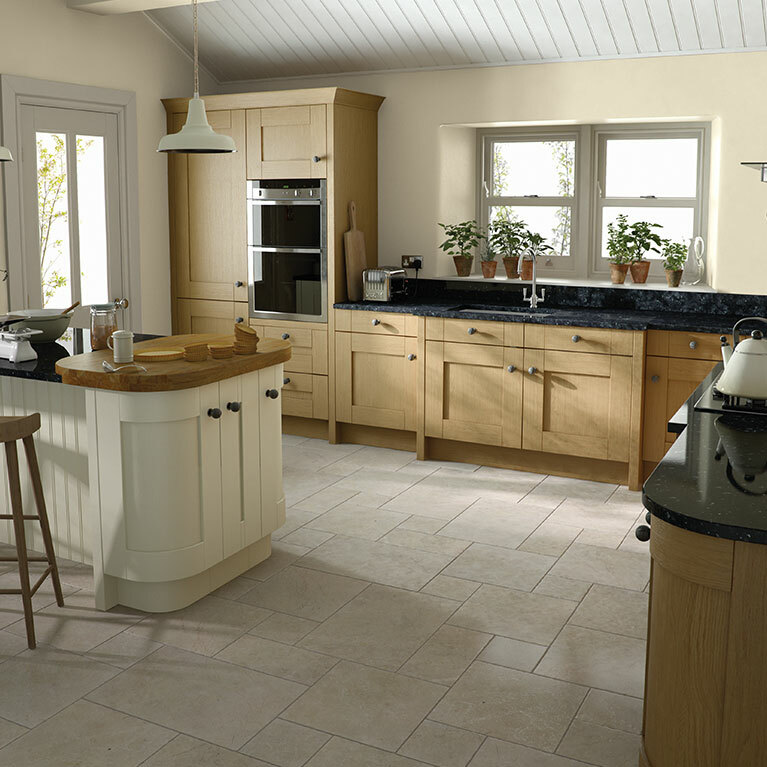 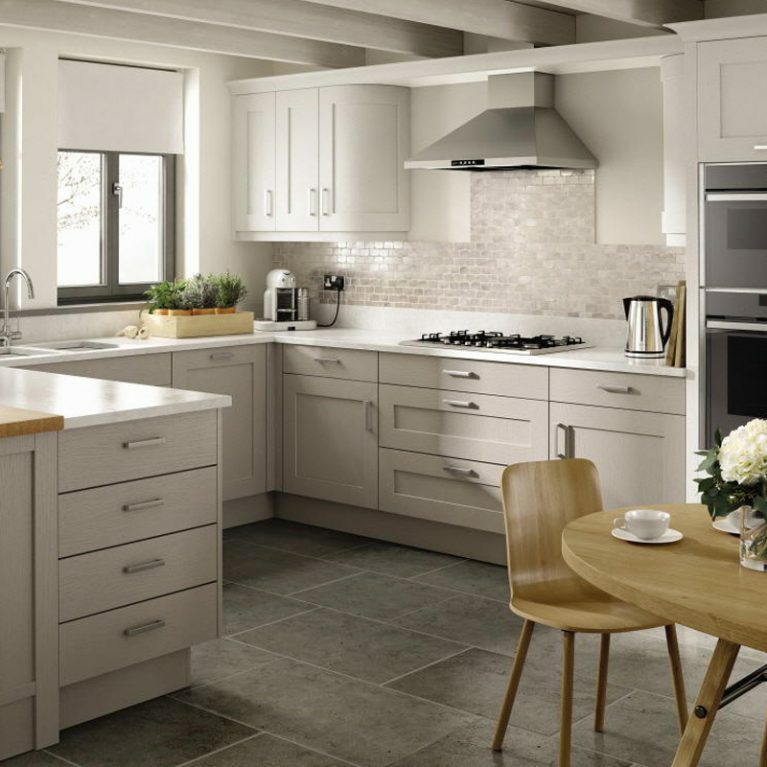 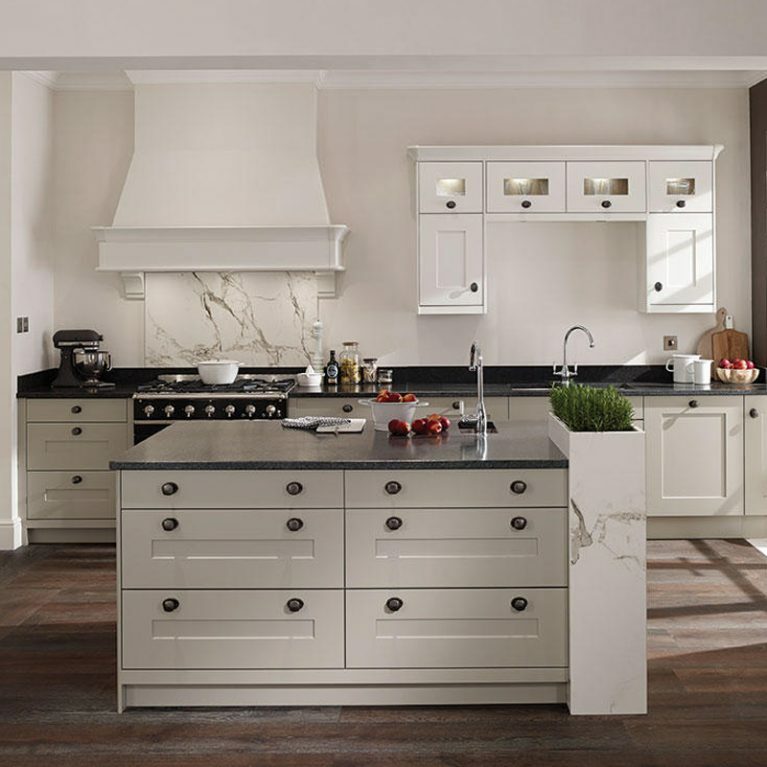 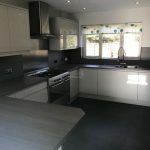 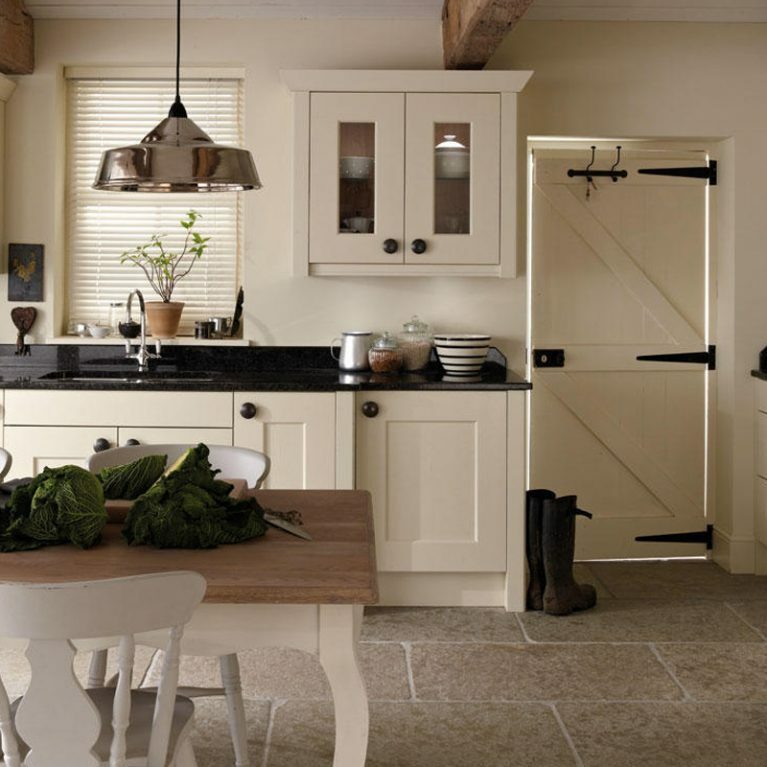 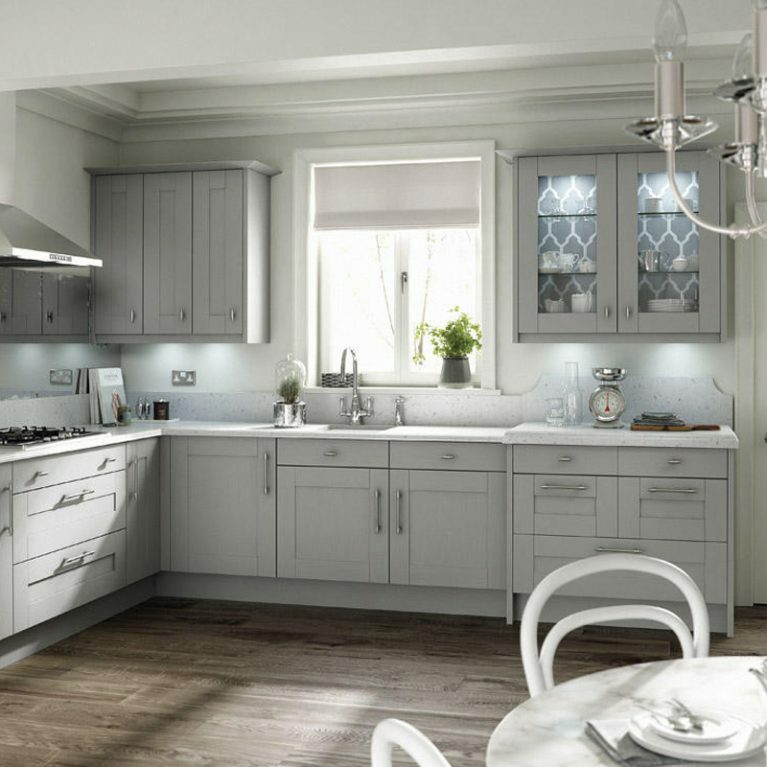 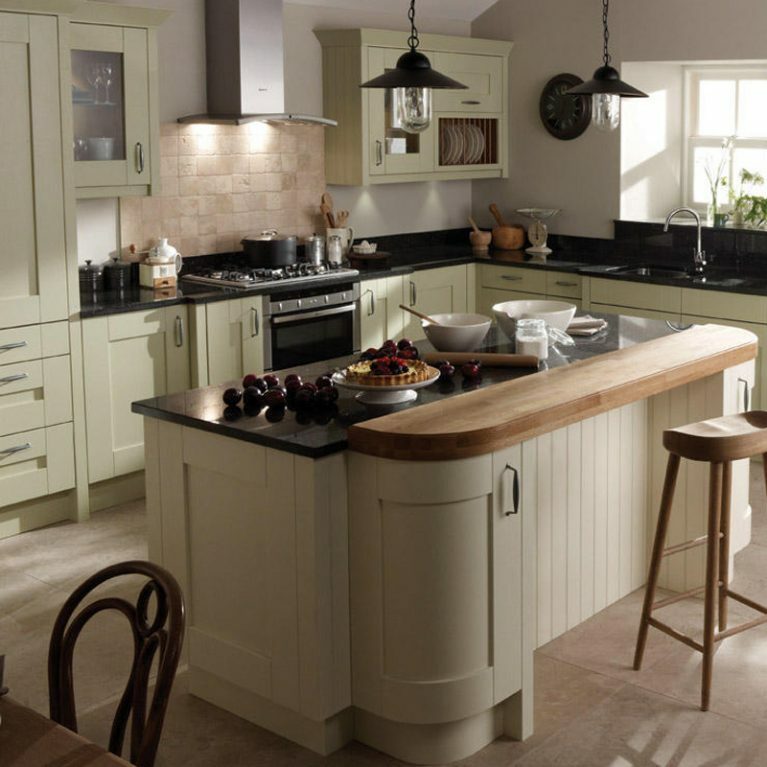 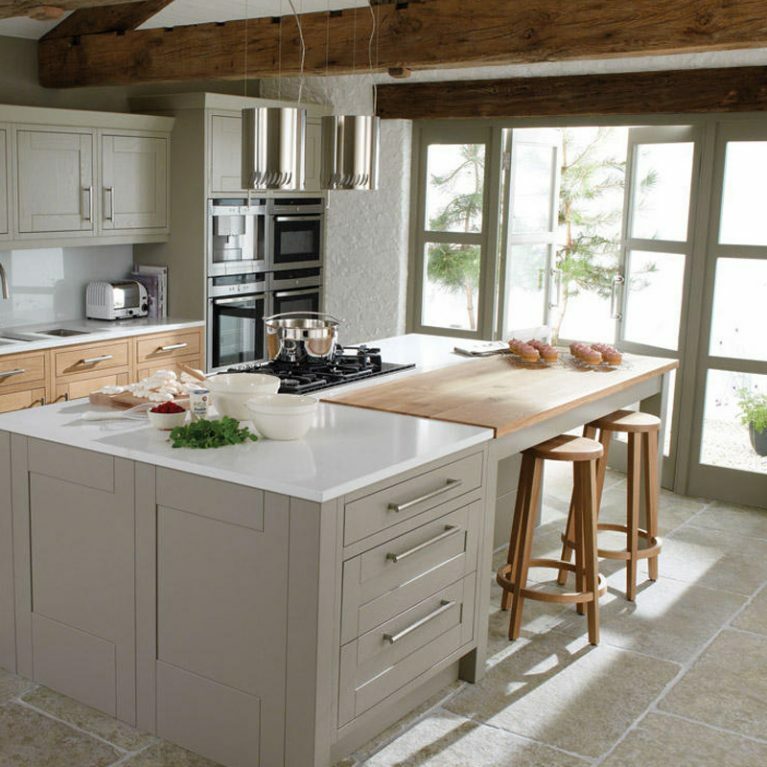 The wide rails featured on the shaker doors and the gorgeous accentuating pewter handles add a modern and cosy feel to this classic rustic country-chic kitchen design. 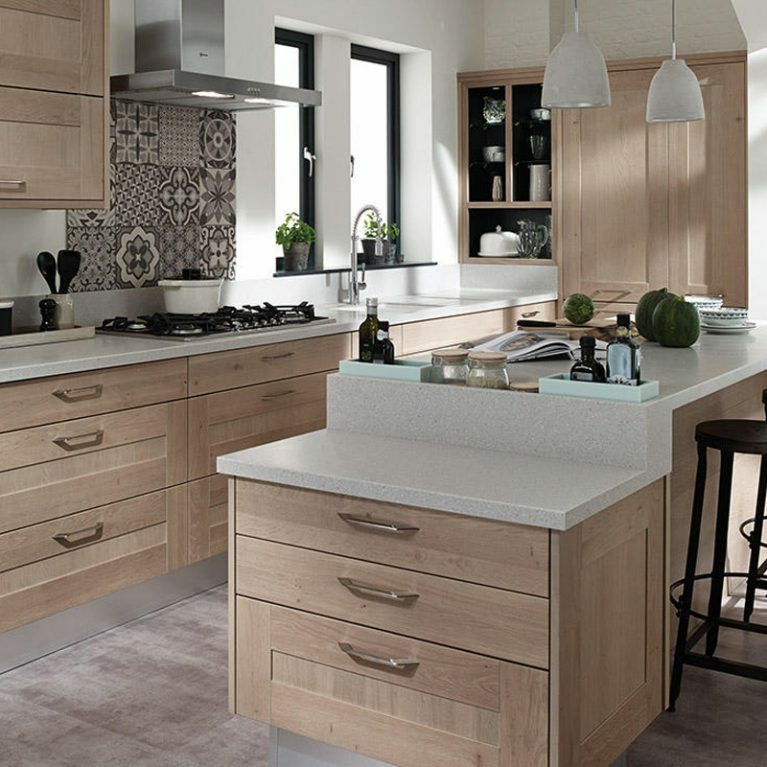 The speckled marble-style counter surfaces add a gorgeous and textured juxtaposition to the rich brown of the oak cupboard doors. 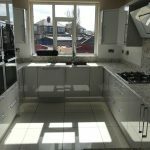 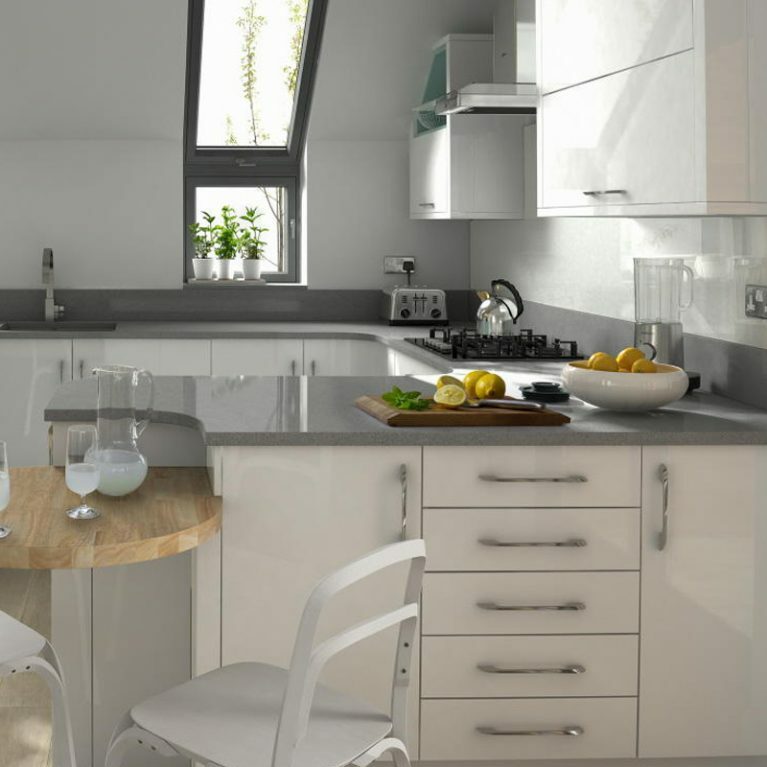 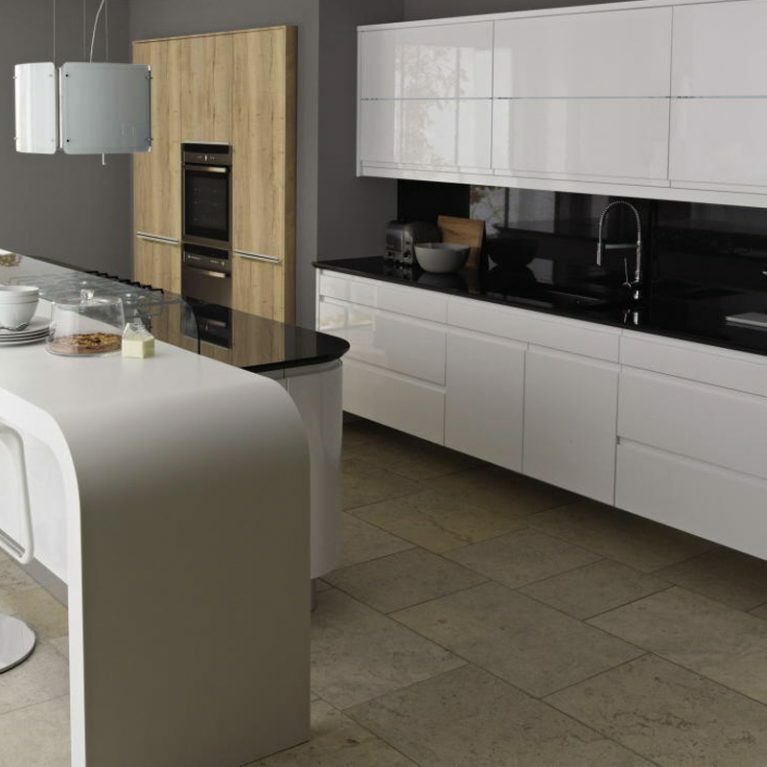 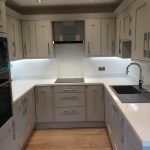 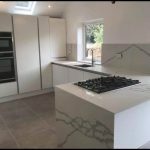 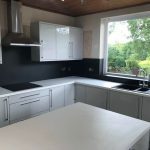 However, your work surfaces are customisable and you can choose a look and feel that perfectly suits you. 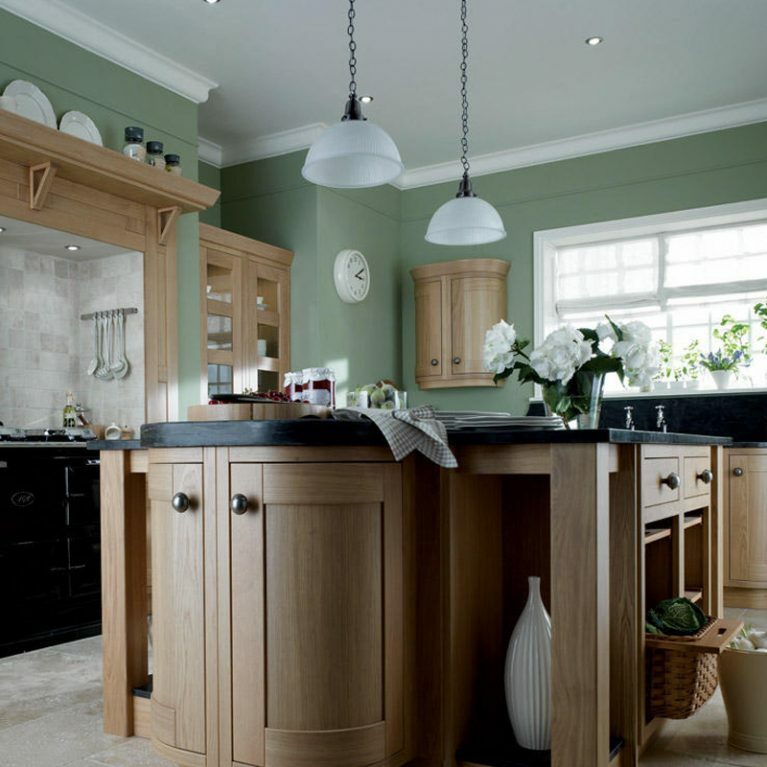 Featured in these example images is a full-height butler’s pantry, which is an immaculate design feature that is every inch as practical as it is stylish. 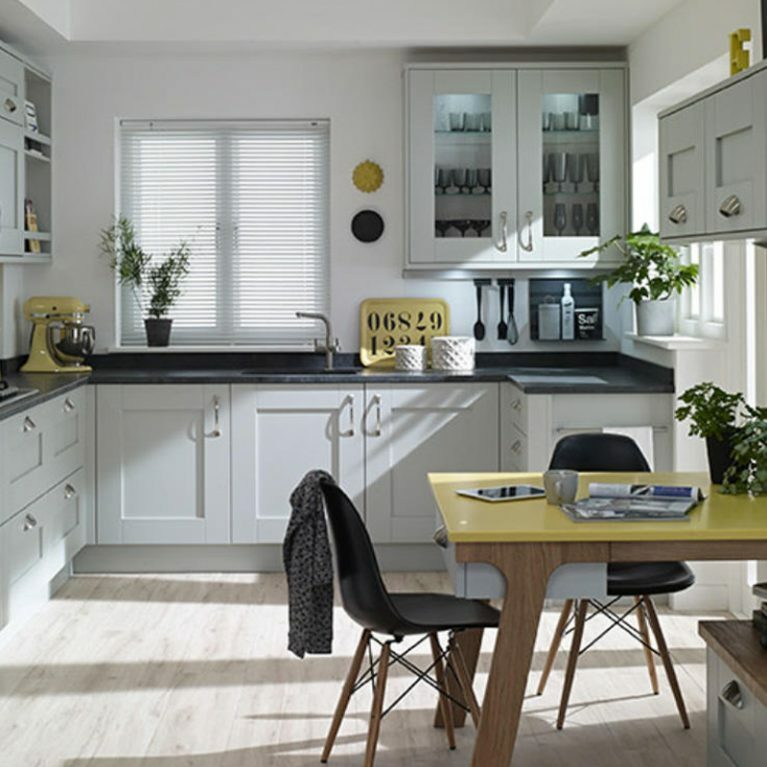 There’s a wonderful mix of upper and lower cupboards, as well as a dish rack with plenty of space for your dishes to be tucked away nicely. 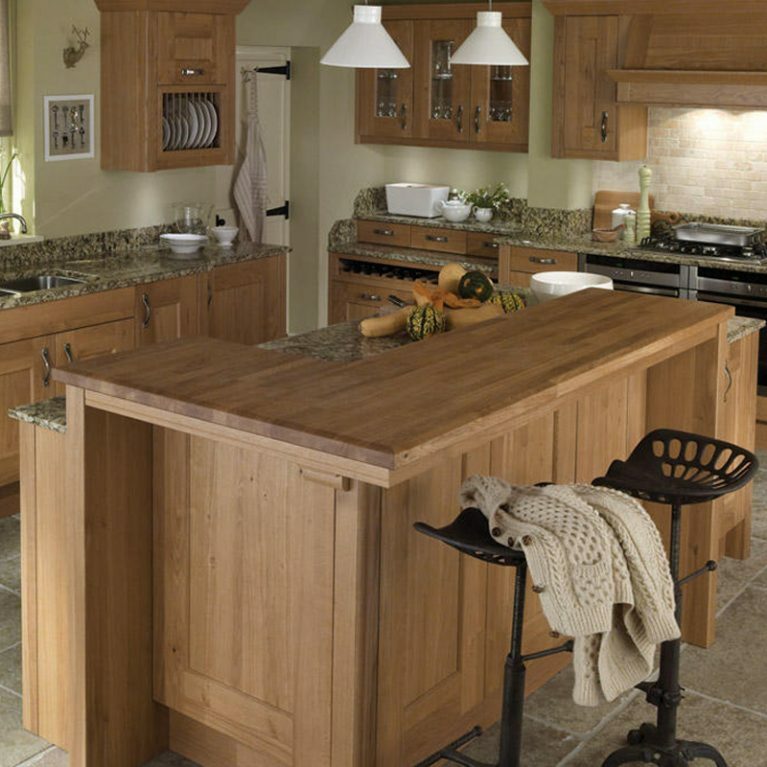 Kitchen islands are an incredible feature, and one look at the Lyndon classic wood oak kitchen’s peninsula section will show you why. 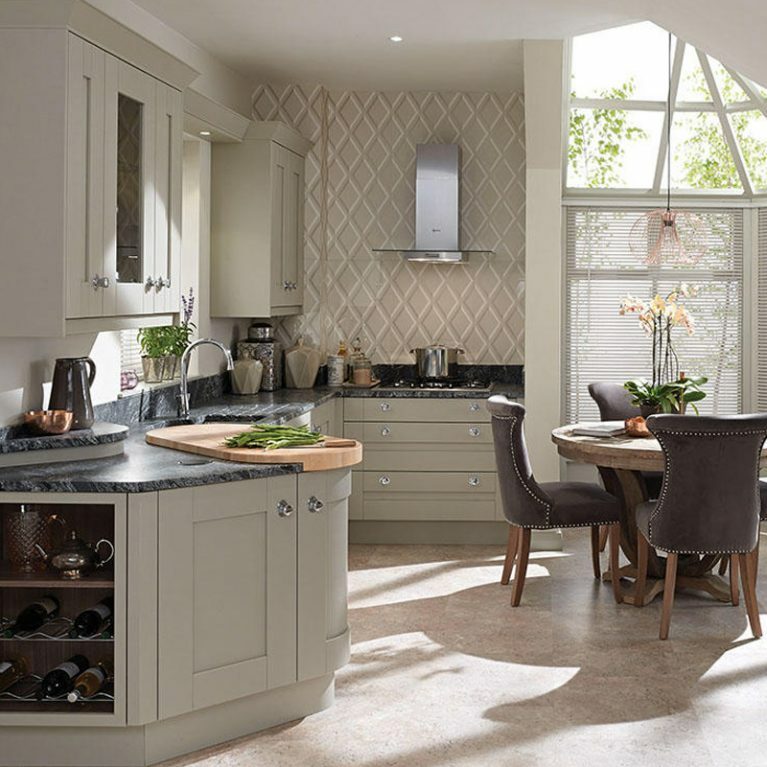 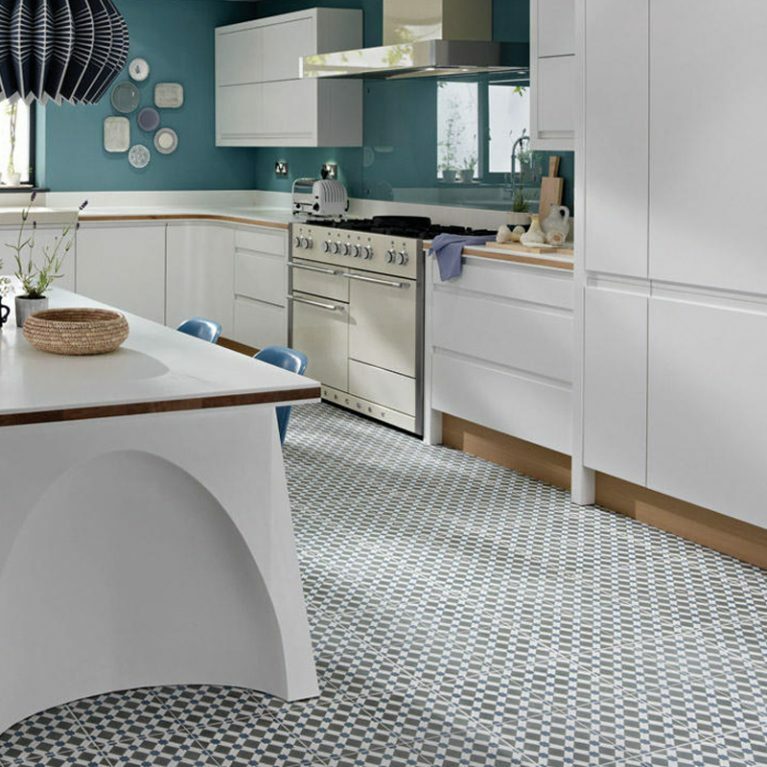 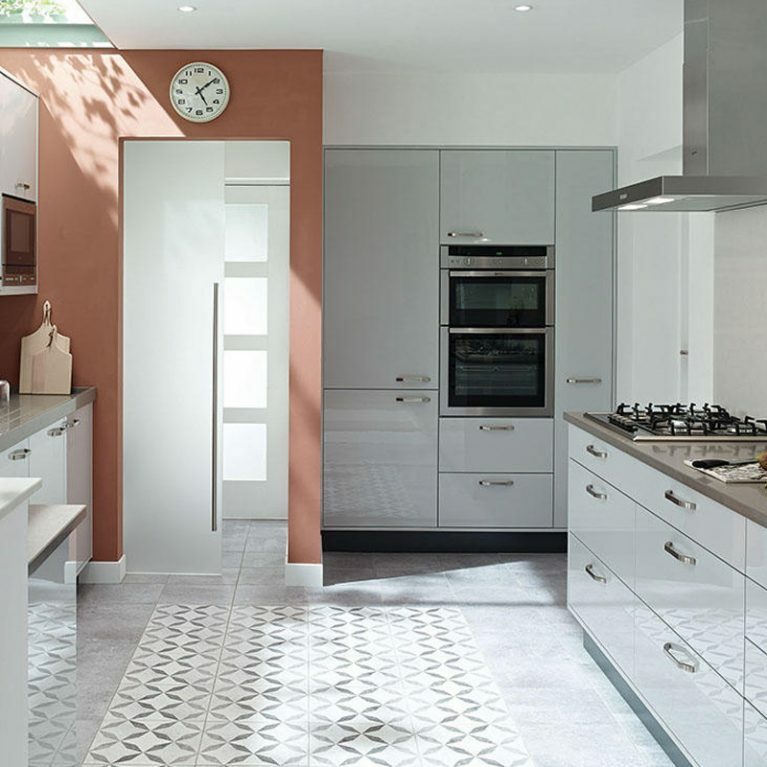 Not only does it create a flawless focal point for your room, but an incredibly practical surface space for food preparation and entertaining too. 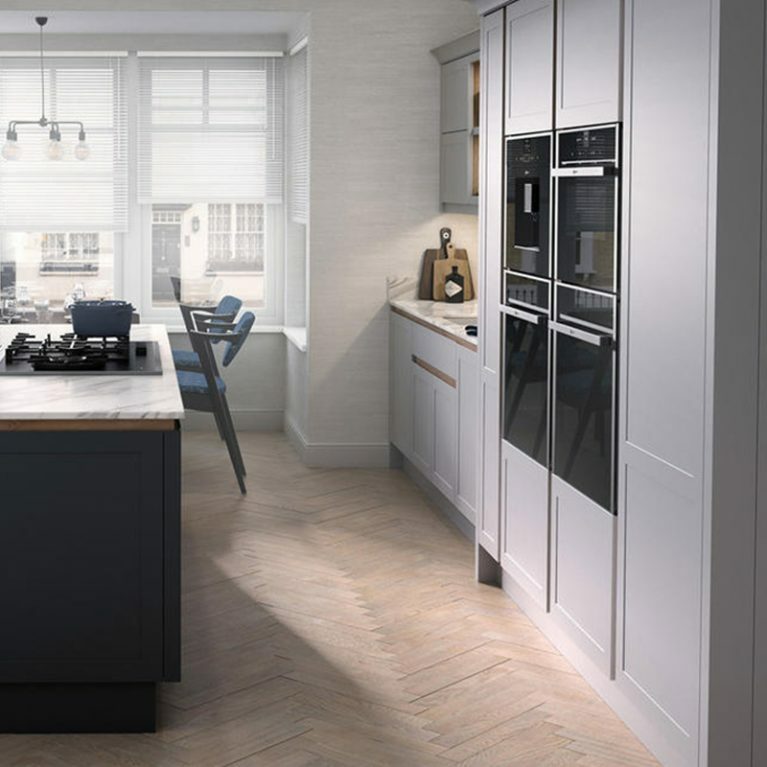 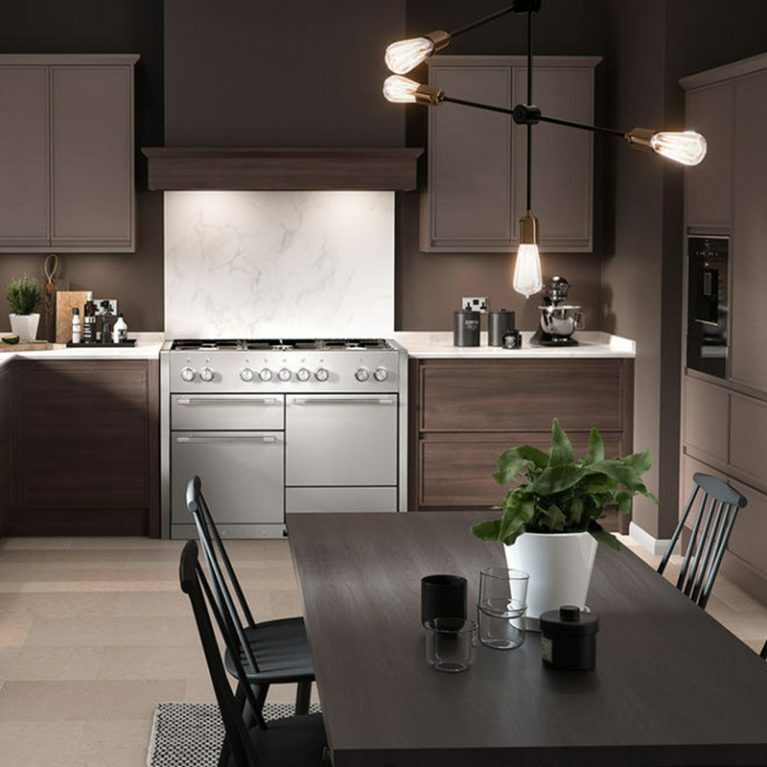 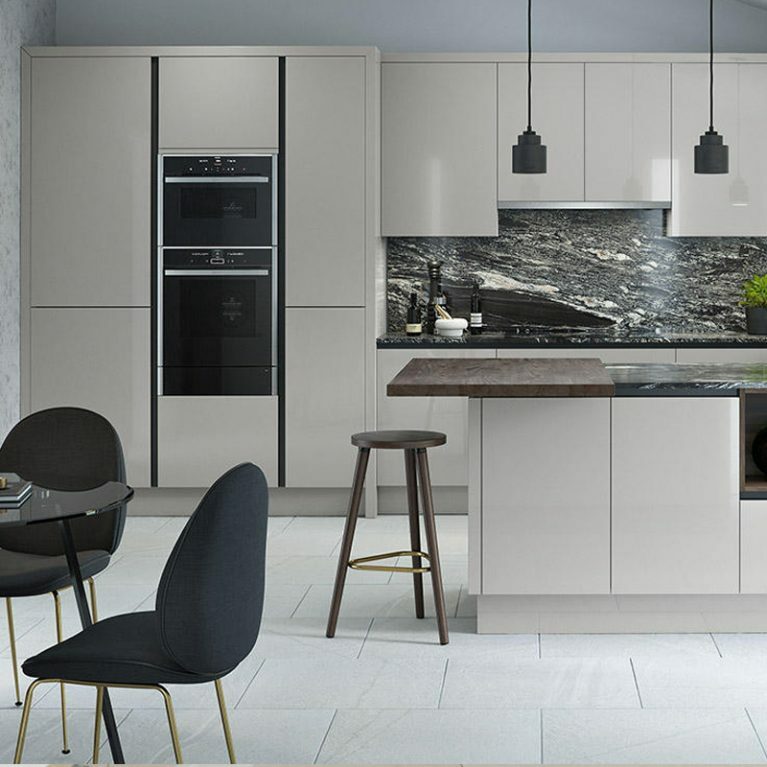 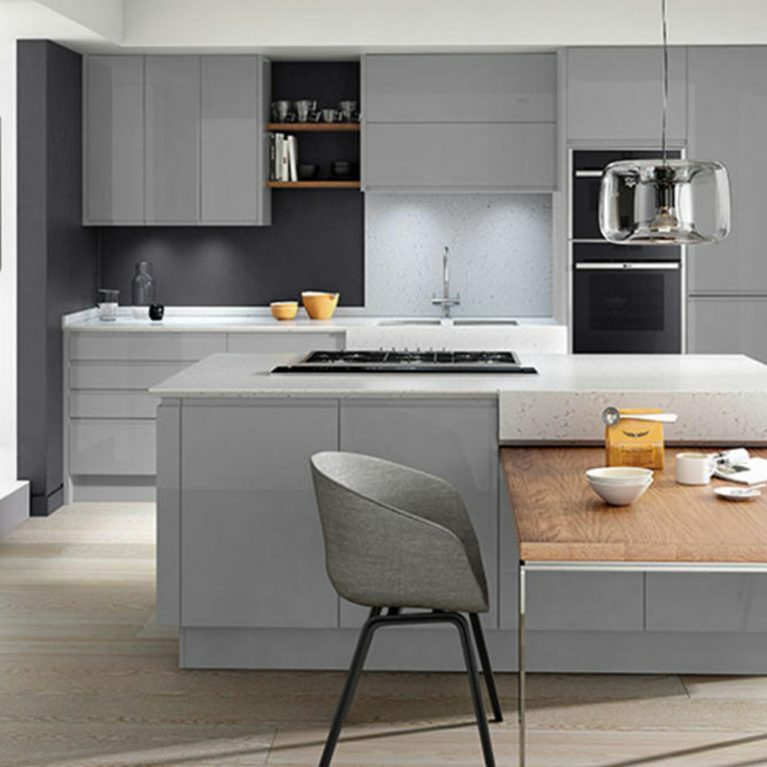 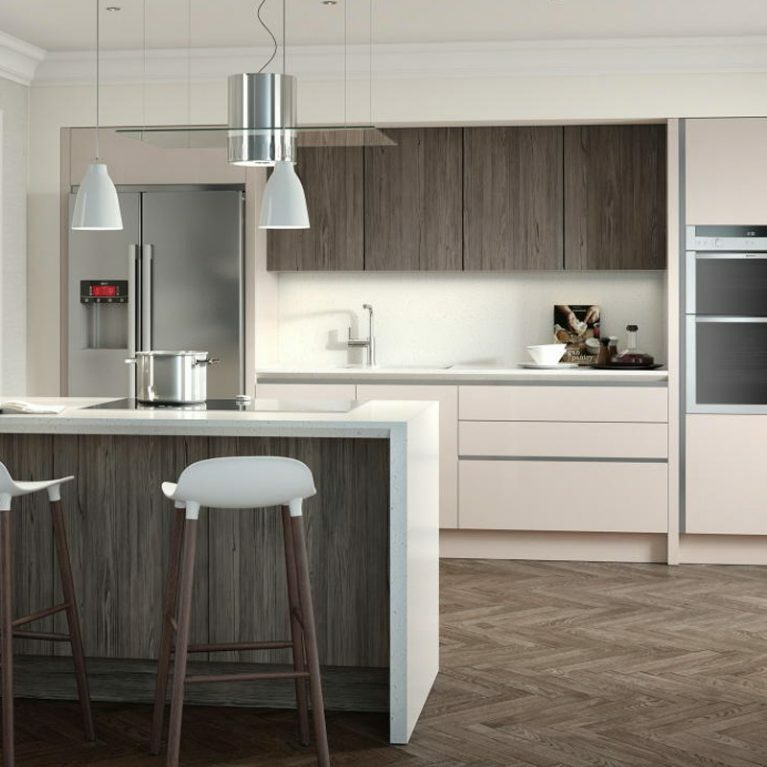 For a flawless kitchen design that is sure to stand the test of time and create a wonderful space to make memories with your family, look no further than the Lyndon.